Release Date: September 5, 2014 – U.S.
John "Falcon" Chapman (Michael Jai White) is an action hero who can do it all. He's good with a knife, great with a gun, and a superb martial artist who knows how to use his fists and feet. He also places bullets in shot glasses, adds whiskey, and then spits out those same bullets and uses them to play Russian roulette. Suffering severe PTSD from his time as a Marine, Chapman has a death wish. Hint: Don't rob a convenience store when he's in it, because he doesn't care who lives or dies – including and especially himself. The local authorities (Jimmy Navarro and Lateef Crowder) inform the U.S. consulate for Brazil (Neal McDonough) of the attack. They're surprised when he recognizes her. He may be a suit-and-tie for the government now, but he was once Chapman's brother-in-arms in the military. The "Falcon" is then forced to clear the cobwebs and take a trip to Rio de Janiero to avenge his sister. 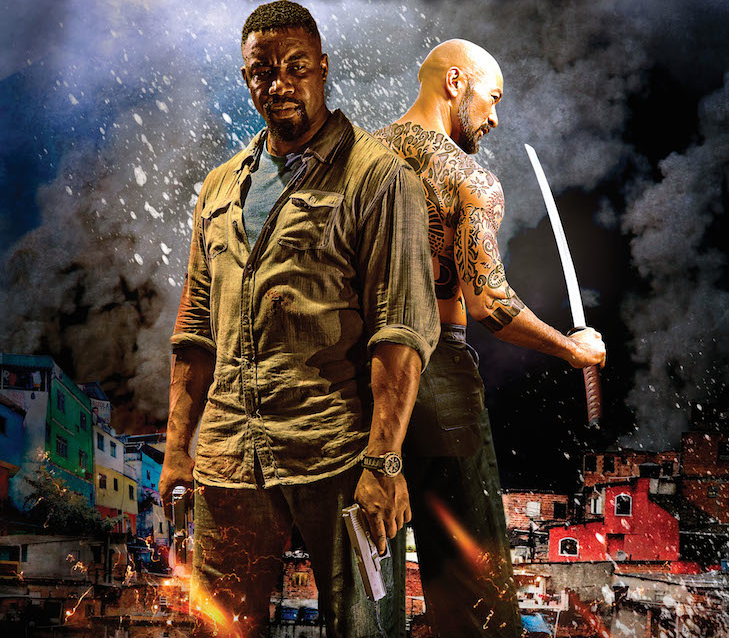 The unique location – bright, colorful, dangerous Brazil – is enough to set "Falcon Rising" apart from the glut of other action movies out there. The crazy plot also helps. There are child prostitutes, a twisted "nurse" (Hazuki Kato), the Yakuza (Japanese mafia), and vicious 1-on-1 street fights initiated by a police officer – Thiago (Navarro) – who's almost a Brazilian version of Vic Mackey (Michael Chiklis) from "The Shield." The no-nonsense, beret-wearing street cop at the scene (Millie Ruperto) does not approve of her superior officer's unorthodox tactics, but he reminds her to remember which side she's on. According to the film, Brazil has the largest population of Japanese people in the world – outside of Japan itself, of course. That's where the Yakuza comes in – particularly Hiromoto (Masashi Odate), whose ridiculously long sword, he promises, can slice through anything and anyone. Needless to say, all of this can get pretty silly. "Falcon Rising" doesn't take itself too seriously, and that's what makes it fun. The fight scenes seem to be taken straight out of a video game, which is usually a bad sign, but it somehow works here. 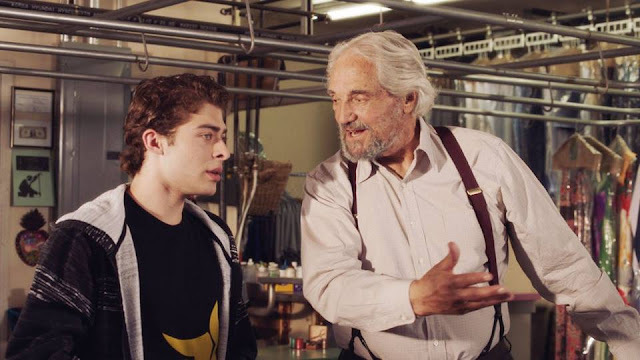 This is a throwback to the movies of an earlier era. The body-count in this film is excessively high. Dozens of people are shot, stabbed, and beaten at will. Human lives in this movie are disposable and do not matter. If that level of thoughtless, reckless, irresponsible violence offends you, then you clearly did not grow up in the '80s, where titans with names such as Arnold and Sylvester racked up dead bodies more often than most people take breaths. There is rarely a dull moment, but that's not only because of the wild action and over-the-top set-pieces. Beyond that, there's a decent story here with interesting characters and a fun mystery to follow. It's always nice when a film comes out of nowhere and is a genuine surprise. "Falcon Rising" is the first of a planned franchise. I'm ready for more!